Lush, rich, textured, bold, detailed, soft, feathery, spiky, romantic, elegant, sophisticated, dazzling, artistic, and dramatic are just a few of the many adjectives for the leaf. Or was that the needle? Or the blade? Or the branch? Foliage has a multitude of facets that I could NEVER be tired of it. I find it more technically alluring than most flowers. I think that’s the A-type in me though. It’s just the rich diversity of combinations that seems to be a design an itch I can never fully scratch. In order to scratch that itch just a bit, I am thrilled present Fine Foliage published by our beloved St. Lynns Press. The book that I am so proud to Co-Author with Karen Chapman of Le Jardinet is packed with the most stunning photography by our Principal Photographer, Ashley DeLatour of One thousand Words Photography. Our goal is to give you a book that you want to curl up with in winter and drool over pictures that give you ideas to day- dream over and a tool to use in spring to help you choose how to make that dream a reality. When we first sat down and brainstormed this book, one of the very first thoughts that I had was to be able to explain “Why This Works” on every one of our 60 colorful combinations. I wanted to take the dreamy, artistic photos and make them an achievable risk for any level of gardener to take when armed with enough good information. We’ve taken extreme care to cover many areas of the country in different Hardiness Zones as well as design esthetics. 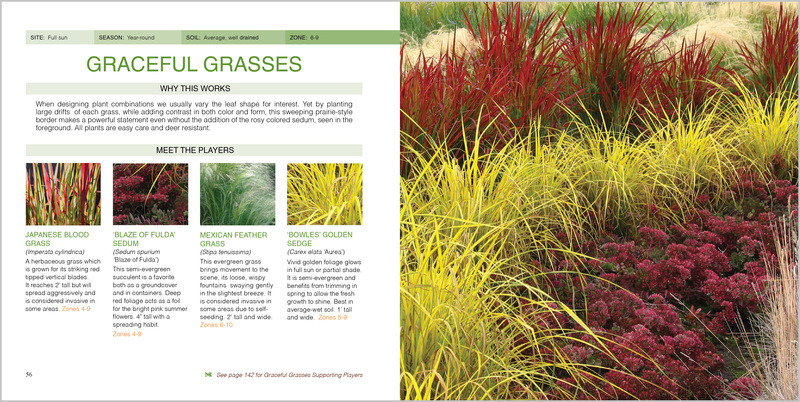 As well as including annuals, perennials , shrubs and trees too in a simple and sophisticated format. As for me, I would say that if you have read any of my posts you might have a fairly good idea for who I am The Personal Garden Coach, but here is the thumbnail: I’m a container designer, garden coach, garden writer, speaker and foliage-a-holic who loves to teach and see the light bulb go on when a gardener suddenly “get’s it”. I adore the entire Horticulture Industry and revel in helping others feel the same passion that I do about plants. 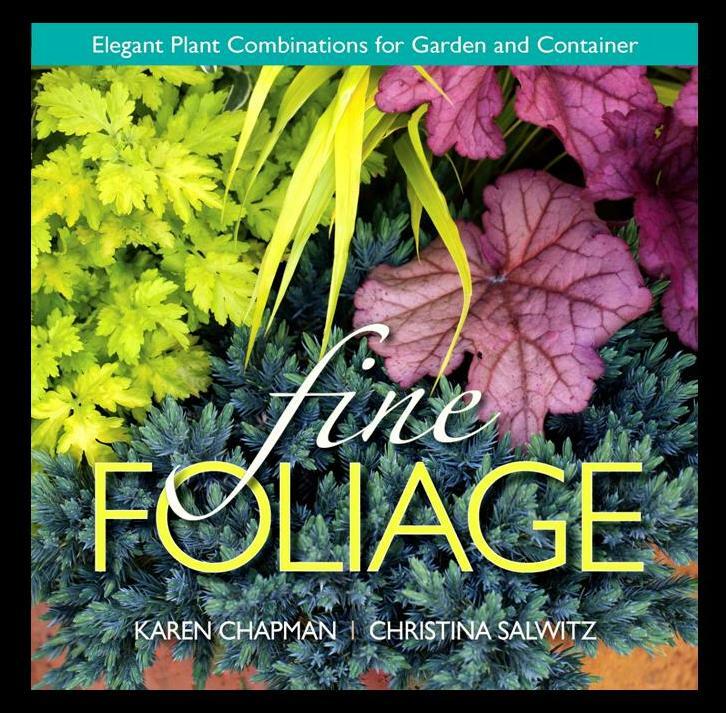 We have been so fortunate and honored to have the support of such respected authors “Fine Foliage is a visual treat that will inspire you with dazzling combinations for containers and gardens. 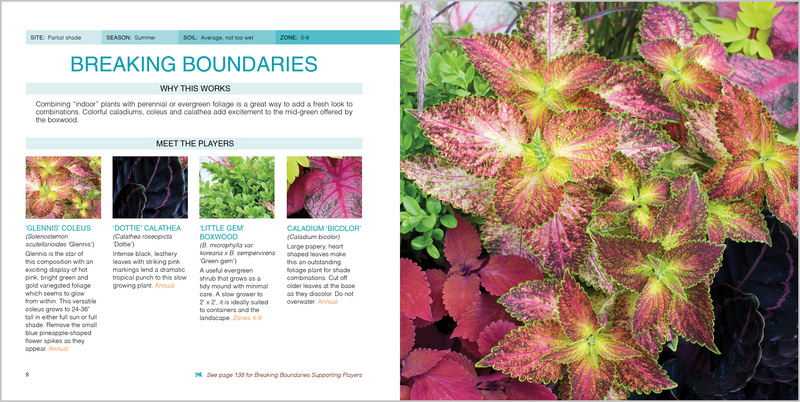 This is a great user-friendly design resource as Karen Chapman and Christina Salwitz explain why each combination works, bringing artistic design within easy reach of all gardeners”. – Debra Prinzing, author of the 50-Mile Bouquet This just makes it all the sweeter. So where can YOU buy the book you ask? 🙂 St. Lynn’s Press have listed the release date for Fine Foliage as March 1st 2013, but it will be available in time for the Northwest Flower & Garden Show, Seattle in February. At the show you’ll have the opportunity to hear Karen and I present a fun seminar based on our love of designing with foliage which will be followed by a book signing. If you simply can’t wait until February and want to save a few $$’s then be sure to pre-order Fine Foliage through these fine booksellers. Barnes & Noble – coming soon! For the daily action though, follow us on Facebook and Twitter. We will endeavor to post THE most luscious and yummy photos and information that we can muster to hold you until your copy is available! This entry was posted in Uncategorized and tagged book, Color, Container, Container Design, Design, Fine Foliage, Foliage, Garden, Garden Design, Garden Ideas, Garden Photography, Garden photos, Gardening, Gardening Blogs, gardens, Horticulture, House and Garden, Landscape, Landscape Design, Landscaping, most beautiful gardens, Northwest FLower and Garden Show, Perennials, Photography, Plants, Shade, Shrubs, St.Lynns Press, Succulents, The Personal Garden Coach, Trees. Bookmark the permalink. Wow! It looks spectacular! I wouldn’t expect anything less from the Queen of containers. bravo! The preview has me hungry to see more. 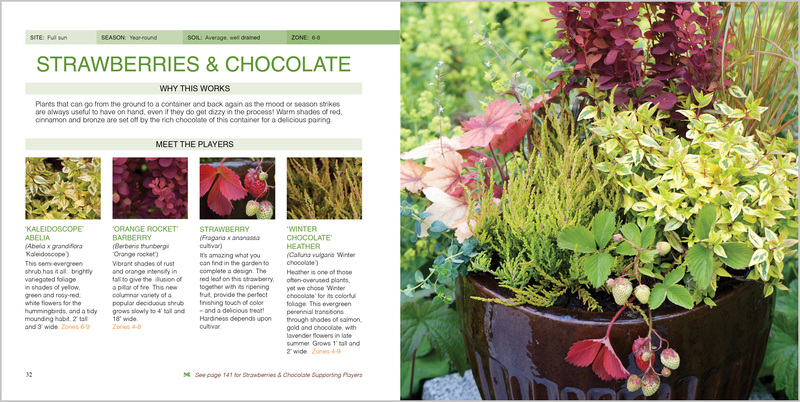 Love the “Strawberries and Chocolate” theme…and the color and texture blending of plants on the cover…great job! I am very much looking forward to seeing the entire book and giving folks a heads up on its release. I think gardeners who are looking for ideas will definitely be inspired. Fantastic Christina. Good for you! Woww.. It looks amazing. Expecting good things from Christina. The book looks awesome – can’t wait to get my hands on a copy. Funny story though: I’ve been working on a post spotlighting various plant pairings – not particularly noteworthy as many garden writers/bloggers have written such pieces. I’ve given my pairings cutesy names too like ‘peaches and cream’ – again many have done the same. But with each pairing I have a subheading, ‘Why this Works’. I guess I’ll have to rethink this format lest I be accused of plagiarism. Anyways, when I’ve finished gathering photos and I’m ready to post I’ll be sure to preface it with a note about your new book and a link to your blog. Wow- Sue, great minds eh? ?